As featured in House Beautiful and the Los Angeles Times, we are pleased to offer completely custom Pooch Places for your canine (or feline, we’re equal opportunity pet-spoilers!) friend. 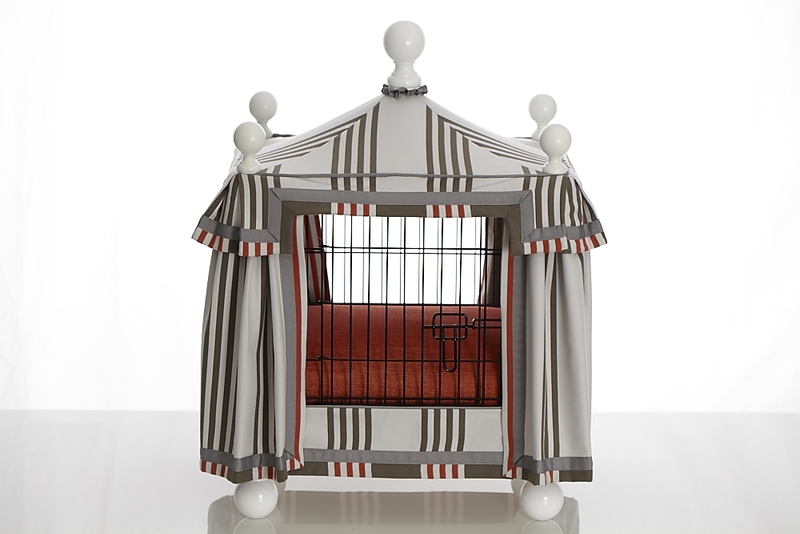 Our Creative Director, Michael Tavano, created the first one for his own dogs, and our President, Lloyd Marks, had the great idea to make these pretty places part of the Marks & Tavano line. 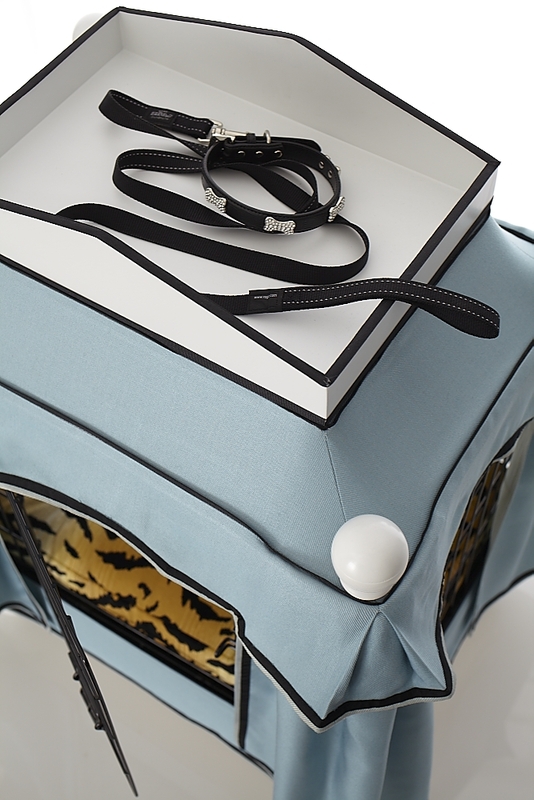 The Pooch Penthouse, shown above in “Sky Tiger”, features a rooftop tray to hold leashes, treats and all manner of pooch paraphernalia, and like all of our Pooch Places, it is crafted by hand in our atelier using top of the line performance fabrics for easy cleaning. It is $1500 as shown (suitable for a pet up to 20 pounds), plus tax and shipping. The Pooch Palaces, shown below are called “Tangerine Dream” and “Lettuce Lattice”, and are also made for a dog up to 20 pounds and are $1,500 as shown. 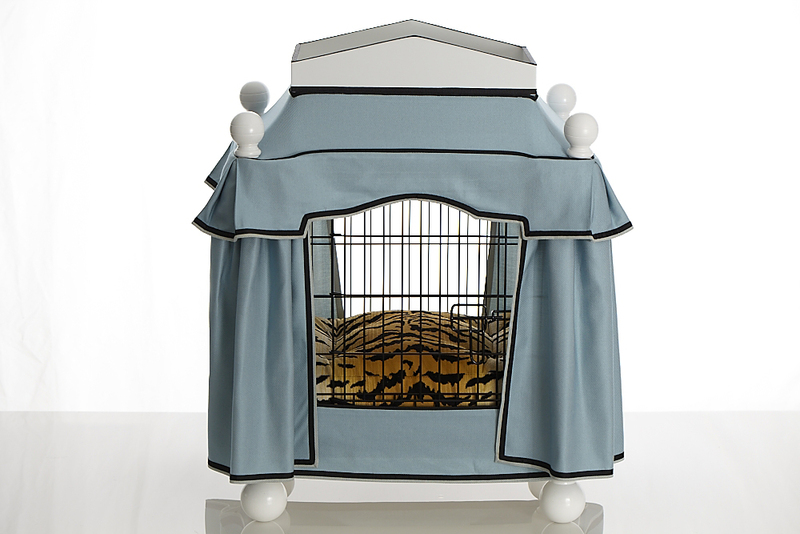 You can have your own custom Penthouse or Palace handcrafted by us in a size to fit your pet and a style created especially to fit your home’s decor. You’ll get a personal consultation with Michael Tavano (interior designer, product designer and star of BBC’s House of the Year), and we’ll ask for a snapshot of your pet and your interior. Then, Michael will select superb outdoor fabrics available only to the trade, along with custom hardware details, and he’ll send you a “storyboard’ of your pet’s new posh place for approval, with complete price quote. 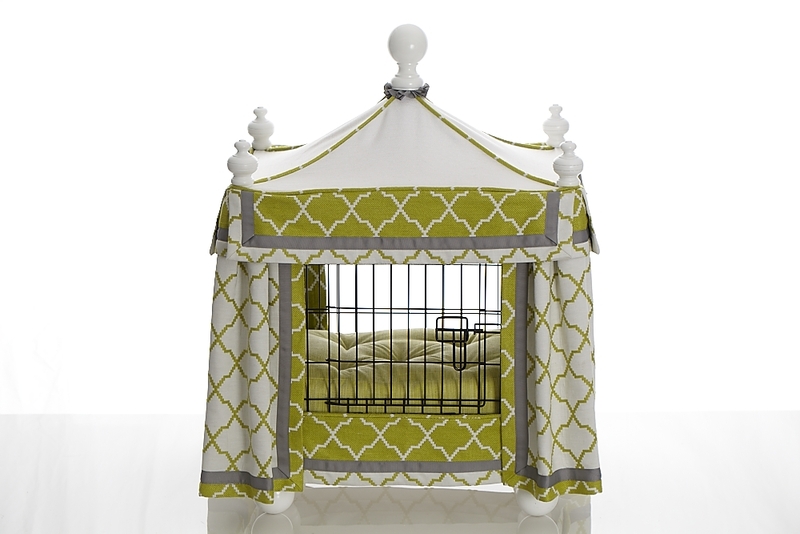 Your pet’s new place will ship to you within four to eight weeks of final approval. You can get the squeaky ball rolling by filling in the form below.